Zao Onsen (蔵王温泉) is the oldest Onsen exist in Japan. It has over 1900 years of history. Zao Onsen is located in Yamagata Prefecture, and it is also one of the major biggest Ski spots in Japan. There are many Onsen Hotels, public Onsen and free foot Onsen. The Onsen water of Zao has strong acidity, good for making beautiful skin. 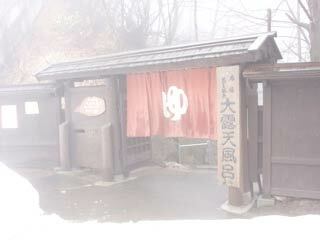 Therefore, Onsen water of Zao was called Princess Onsen. In summer, Zao is also popular hiking spots. Water has strong acidity. be careful if you have injury. Zao Onsen is located on the Zao mountains. It is located 880m high from the sea level. Therefore, it was called Takayu, highland Onsen. There are many hotels in Zao. Some of them don't have Onsen, but during the ski season, many people visit Zao to enjoy ski and Onsen at the same time. There are also 7 public Onsen. Zao is one of the biggest Ski resort in Japan. There are 14 slopes and 12 courses in Zao, and snow stays middle of April. In summer, it becomes the popular hiking spots and many people visit Zao. At the top of Mt. Jizo, you can see great view of Yamagata and Miyagi. You can see a beautiful lake, called Okama from there as well.